From meditation to mindful sourcing in food and beverage, mindfulness is key to healthy habits. Comedian Garry Shandling, who sadly passed away in 2016 at age 66, had a decades-long interest in mindfulness and Zen Buddhism, captured fully in HBO’s recent series “The Zen Diaries of Garry Shandling.” As portrayed in the series, Shandling’s interest in mindfulness, it turns out, was in part a personal journey (he said he was working toward “ego-emptiness”), but we can also say it reflected trends occurring culturally whereby consumers themselves have increasingly become more mindful about not just food but health and wellness habits. PBS examined the topic of meditation in 2017 with its “Mindfulness Goes Mainstream” documentary, underscoring what we see in our Health and Wellness 2017 report, which is that consumers increasingly see their health and wellness practices as a means of nourishing a complex ecosystem of healthy habits, one key part of which is mindful mental practices that might lead to feeling stabilized or enlightened. In keeping with their holistic vision of health and wellness, today’s consumers are more likely than in the past to view healthy habits as less about dealing with an acute problem or looking good and more about overall mindset. 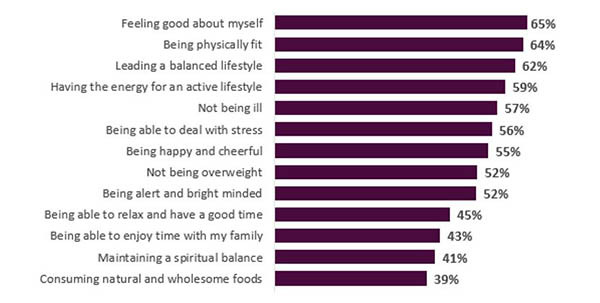 Health and Wellness 2017 finds that 80 percent of consumers believe mental and emotional balance is as important as physical health, and 41 percent say that health and wellness can mean “finding a spiritual balance.” Being able to enjoy life, deal with stress, and relax are also considered key elements of what health and wellness means today. From exercise to sleep, consumers are trying to find ways to develop daily rhythms that foster wellness in all dimensions. In terms of mental wellness, our report finds that 12 percent of consumers reported practicing meditation in 2017, a figure that represents the cultural acceptance of mindfulness practices once considered difficult and far from mainstream. 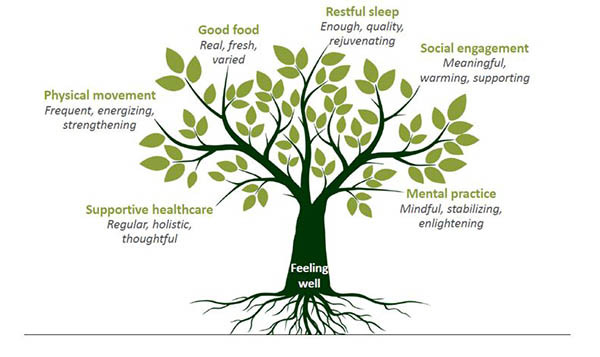 Historically, talking about mental wellness was once fraught with stigma; today “working” on mental wellness is increasingly regarded as a sensible approach to health and self-improvement. The language and logic of “mindfulness” — including the significance of feeling present, in the moment, and being aware of one’s own reactions — has become a critical part of the modern approach to well-being, especially in coping with stress. Consumers acknowledge the broad, long-term consequences of stress as well as its short-term impact on productivity, creativity, and performance. Mindfulness is not necessarily just a spiritual pursuit. Trend watchers within The Hartman Group’s Retainer Services team have identified its influence on demand for foods and beverages whereby the overarching trend toward mindfulness has prompted consumers to ask meaningful questions about the origins of their food, culminating in the term “mindful sourcing.” Mindful sourcing means that as consumers seek more information and expect greater degrees of transparency, they are becoming more mindful about their food choices. Mindful sourcing includes wanting to know what is in their food and beverages in order to make the most informed decisions that might be influenced by health, environmental or ethical issues. Consumers increasingly see their bodies as complex systems that are nourished by a variety of behaviors, including their diet, physical movement, restful sleep, social engagement, mental practice, and receiving supportive healthcare. As such, developing and marketing a healthful product or service requires thinking about not just what’s in it but how it can support these more holistic goals in all aspects of their life, like relieving stress, creating family time by saving time in other ways, or offering a wholesome, fun experience. 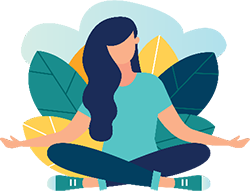 In keeping with this holistic focus, language associated with “mindfulness” practices has particular relevance today and has fully infiltrated consumer discourse. Mindfulness can mean many things, however, so companies should take care to understand what mindfulness means to their consumers. In the context of foods and beverages, mindfulness has created an empowered consumer increasingly asking meaningful questions about the origins of their food.